The EHF Court of Appeal has released its decision in the case involving the player Maris Versakovs and the club, S.V Beckdorf. The EHF Court of Appeal has released its decision in the case involving the player Maris Versakovs and the German club S.V Beckdorf. The Latvian player Maris Versakovs was called up by the Latvian Handball Federation to participate in national team activities from 30 October 2011 to 6 November 2011. The player informed his Federation that he would not take part in these activities. However during the requested period of release the player played for his club S.V Beckdorf (German 3. Liga Männer Nord). The Latvian player and the club were sanctioned, in first instance by the EHF Court of Handball for infringement of the IHF Player Eligibility Code on 9 December 2011. The decision of the EHF Court of Handball suspended the player Maris Versakovs from participating in his club matches at national and international level for six months and imposed a fine of 5,000€ on S.V Beckdorf. Thereafter the player and the club filed an appeal with the EHF Court of Appeal. In its decision released to the parties on 13 February 2012, the EHF Court of Appeal confirmed the six month suspension imposed by the first instance on the player as well as the €5,000 fine imposed on S.V Beckdorf. 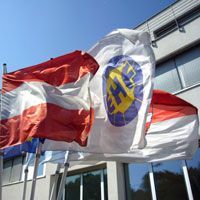 The EHF Court of Appeal decided however to impose the fine on the club on a suspended basis with a probation period of three years. The EHF Court of Appeal found that the player and the club infringed, inter alia, articles 7.1.2, 7.1.3 and 7.4.2 of the IHF Player Eligibility Code and sanctioned them according to the applicable provisions of the IHF Player Eligibility Code (in particular articles 7.4.3 and 7.4.4 ) and of the EHF Legal Regulations (in particular articles 17 and 18.2). Pursuant to article 40.1 of the EHF Legal Regulations, the effects of the suspension imposed on the player by the EHF Court of Handball were automatically suspended for the duration of the appeal proceedings. The EHF Court of Appeal decided therefore and pursuant to article 18.2 of the EHF Legal Regulations, that the six month suspension of Maris Versakovs shall be effective as from the date of the second instance decision, i.e. from Monday 13 February 2012.